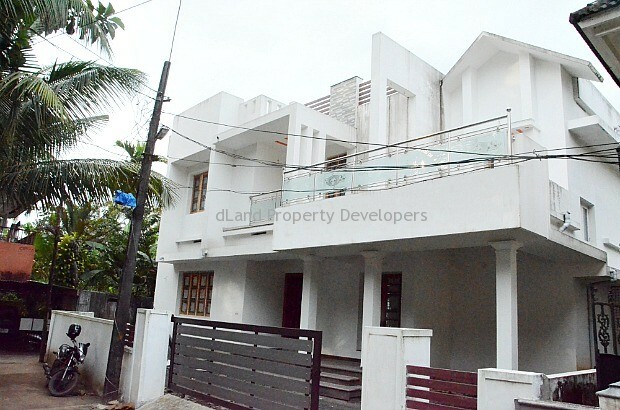 Ready to occupy 4BHK luxury house for sale in Kakkanad, Kochi. Total land area is 5.100 cents. The house is having a built up area of 2050 square feet. Also, there is car parking area for up to three cars. The house to be sold is situated just 300 metres away from Seaport-Airport road.